60 min. 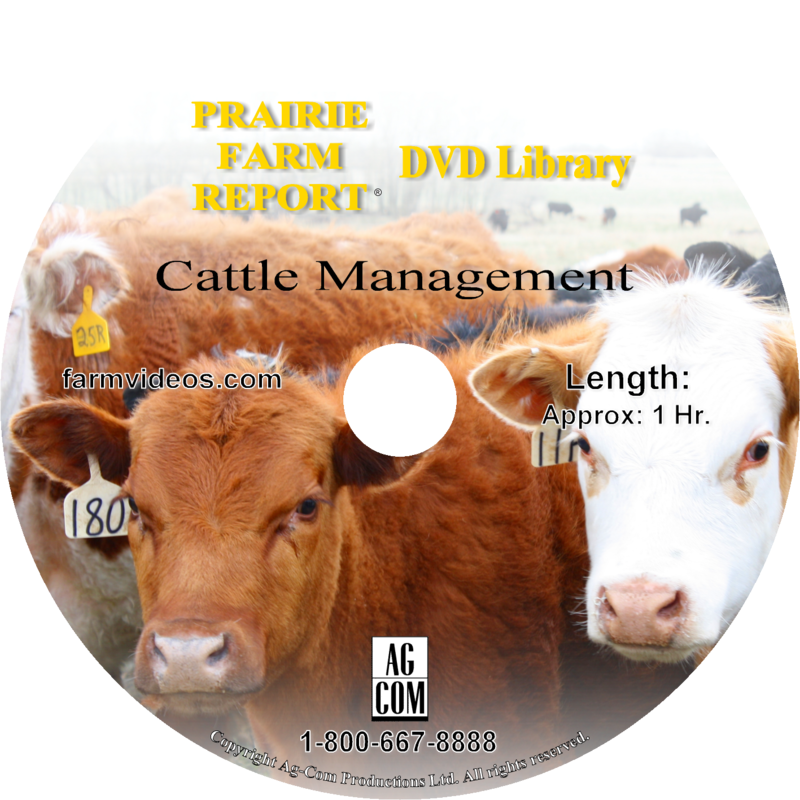 Features numerous management techniques for the beef cattle producer as seen on the Prairie Farm Report between 90-93. Includes ultrasound technology aimed at determining carcass quality, parasites in the pasture & how to treat them, numerous water management ideas for the pasture including solar, wind, water & even cattle powered pumping systems. Also some handling ideas like a portable feeder/waterer & the famous Moo-Glee calf sling.